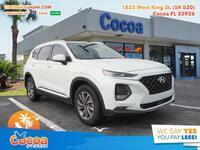 There are plenty of options to choose from in the compact crossover segment, but we thought we’d show you why we’re so confident that our crossovers are some of the best on the market. 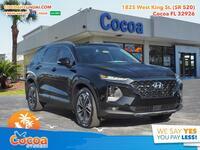 So today, we’re going to compare the 2018 Hyundai Santa Fe vs 2018 Nissan Murano to give you a better idea of each model’s advantages and disadvantages. 252 lb-ft. Torque 240 lb-ft.
40.9 cu. ft. Cargo Capacity (2nd-row) 32.1 cu. ft.
As you can see from the table above, each of these vehicles has its obvious advantages, which means it really comes down to what’s more important to you. We’ll go through the table row by row to help you make your decision, starting with power in the top two rows. The first row looks at horsepower, which is important regardless of what vehicle or segment you’re looking at. 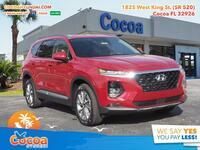 In this match up, the Santa Fe delivers an extra 30 horsepower which is actually a pretty large advantage, especially when tied to the second row advantage which is 12 pound-feet of torque. 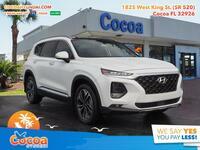 But power isn’t everything, and what the Santa Fe gives up in order to claim this power advantage is a bit of fuel efficiency. 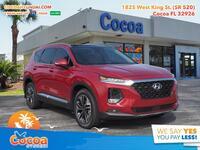 The Murano gets an extra 3 miles per gallon, not only leading to fewer stops for gas on long-distance road trips but that it will save you a bit of money at the pump over time. This is the main decision that you have to make, would you rather have more power or save a bit of money at the pump? 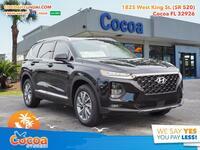 To sweeten the pot, however, the Hyundai Santa Fe throws in the fourth row. 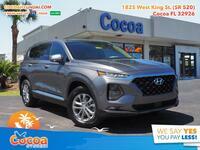 Behind the second row of seats, the Santa Fe offers 40.9 cubic feet of space to fill with your cargo, which is 8.8 cu. ft. more than the Murano. Nearly 9 cu. ft. of space is a pretty big advantage, which should make your decision a little bit easier. 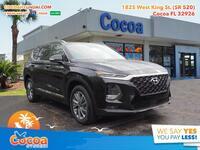 If you’re interested in a 2018 Hyundai Santa Fe of your own, don’t hesitate to get in touch.